LOS ANGELES, CA / ACCESSWIRE / March 27, 2017 / The founders of Genucel, a revolutionary skin care formula, are pleased to announce the launch of their new website, Genucel.com. 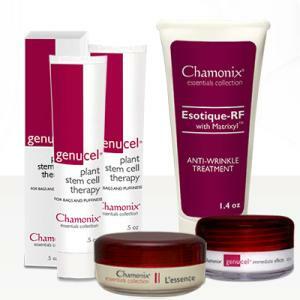 To check out the easy-to-navigate website and learn more about the formula from Chamonix, please visit https://www.genucel.com/. As a spokesperson for Genucel noted, shoppers who want to buy the innovative skin care product may do so at the new site. The proprietary formulation features both plant stem cell technology as well as a substance called Eyeseryl (R); both are designed to reduce the appearance of puffiness around the eyes. "During an in-house study, participants using Genucel saw the appearance of puffiness under their eyes greatly reduced, even after only 15 days, and 70 percent of the volunteers saw improvement by Day 15," the spokesperson noted. "In the classic Chamonix tradition of ingredients, Genucel also contains double the clinical concentration of Eyeseryl, or 2 percent." In addition, the spokesperson noted, Genucel contains natural peptides and plant extracts, along with PhytoCellTec (TM) Malus Domestica plant stem cells that come from a rare form of a Swiss apple. The skin care formulation also contains algae extract, green tea leaf extract, goji berry extract and other ingredients that were specifically chosen for their ability to help make the skin around the eyes healthy and reduce the appearance of crow's feet and brow lines. People who use Genucel tend to see fast, positive effects, the spokesperson said, thanks to the Relaxoderm Technology in Genucel Immediate Effects. In most cases, the results will last anywhere from 15 to 24 hours. In addition to Genucel, shoppers at the new website will also find other items in their package, such as Esotique-RF with Matrixyl, which the spokesperson said is an exceptionally popular anti-wrinkle treatment. "Matrixyl, the key ingredient, is a peptide which effectively helps to beautify the skin," the spokesperson said. Another packaged item can be L'essence with Vitamin C Advanced Neck Treatment at Genucel.com; formulated with green tea and vitamin C, the gentle formula may help to tighten up the delicate skin on the neck area. Genucel is a phenomenal formulation from Chamonix. To learn more, please go to the company's official website: https://www.genucel.com/.